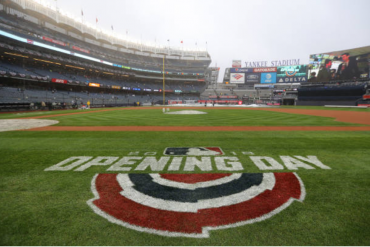 Although Yankee Stadium II turned out the lights for good after the 2008 season, I reflect and list my top 12 playoff moments at “The House George Renovated.” With apologies to Reggie Jackson and Chris Chambliss, I’m naming the moments I’ve seen in my lifetime. # 12.) 2001 ALCS Game 4, Seattle Mariners @ New York Yankees: After getting blown out in Game 3 of the series at home 14-3, the Yankees led the best of seven 2-1. 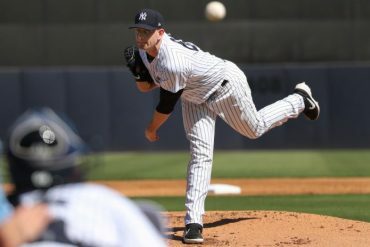 In Game 4 the Yankees had been held scoreless for seven innings, while the Mariners got on the board with a run in the top half of the eighth on a Brett Boone solo HR making it 1-0 M’s. However in the bottom of the eighth with one out, Bernie Williams took Arthur Rhodes deep to knot it at 1-1. Then in the bottom of the ninth with one out and one on, Alfonso Soriano homered off of Kaz Sasaki to win the game 3-1, putting the Yanks up 3-1 in the series. With their 116 win season on the line, the M’s were clearly pressing, prompting manager Lou Piniella to boldly state they would be going back to Seattle for Game 6. # 11.) 2001 ALCS Game 5, Seattle Mariners @ New York Yankees: After this game the M’s would be going back to Seattle, however there would be no Game 6. New York, which had suffered through the horrific attacks of 9/11/2001, seemingly let out all off their emotions and grief and the Yankees took it out big time on the Mariners. The Yankees sent the Mariners packing 12-3 on the back of three homers by Bernie Williams, Paul O’Neill and Tino Martinez. The Yankees won their fourth consecutive AL Pennant, the first and only AL team to do so in the modern playoff era. It was the last HR for Paulie, but not for Tino… that’s later down the list. # 10.) 1999 ALCS Game 1, Boston Red Sox @ New York Yankees: The first playoff series ever for the two blood rivals. Seemingly tamer than recent years but intense nonetheless. The Red Sox led most of the way, 3-2 going into the seventh, until the Yankees tied the score. The two sides then took it to the bottom of the tenth, without scoring, until Bernie Williams went boom, leading off the tenth with a walkoff solo shot to dead center for the 4-3 win. Other than a blip on the radar in Game 3 at Fenway Park, the Yankees rolled up the competition in 1999 going 11-1, but their walkoff magic wasn’t done as you’ll see down the list. # 9.) 2000 World Series Game 1, New York Mets @ New York Yankees: The first Subway Series, World Series game since the New York Yankees defeated the Brooklyn Dodgers in Game 7 of that series at Ebbets Field. This was a game in which the Mets mental errors cost them dearly. 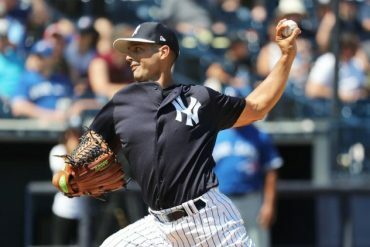 In what was the first of two great pitching duels between Andy Pettitte and ex-Yankee Al Leiter, the game was ultimately decided with the team having better concentration. In the top of the sixth, the Mets had Pettitte on the ropes, when Todd Zeile doubled off the top of the left-field wall. With Timo Perez loafing around the bases, David Justice picked up the ball fired it to Derek Jeter, who cut across and gunned it to Jorge Posada, who tagged out Perez at home plate. Sparked by this, the Yanks notched two in the bottom half of the inning making it 2-0. The Mets however struck right back with three in the top of the seventh. In the bottom of the ninth, Paul O’Neill worked the biggest walk of this dynasty, this side of Wade Boggs, off Armando Benitez. Consecutive singles by Luis Polonia and ex-Met Jose Vizcaino set the stage for a bases loaded game tying sac fly by Chuck Knoblauch, making it 3-3. 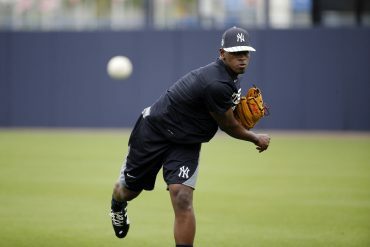 Vizcaino would comeback to haunt the Mets once again in the bottom of the 12th with a bases loaded single to left, driving in Tino Martinez for the 4-3 victory. # 8.) 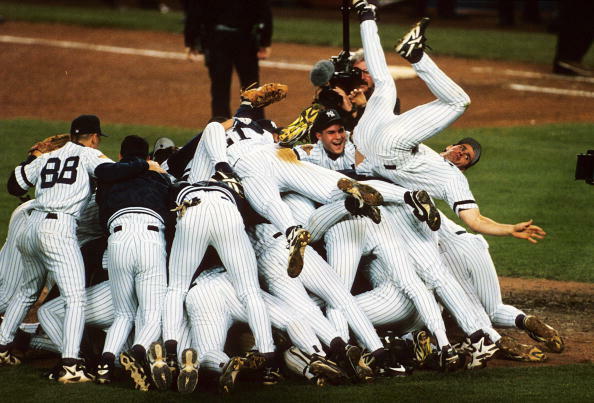 1995 ALDS Game 2, Seattle Mariners @ New York Yankees: Sure the Yankees eventually lost this series but for Buck Showalter’s boys this was the biggest, craziest, post-season win, Stadium fans had seen in a long time. It was a seesaw affair between the two clubs with the M’s leading 2-1 in the sixth. In the home half of the sixth Ruben Sierra the homered to tie the game up at two a piece. Then it was bedlam in the Bronx as The Captain Don Mattingly smacked his first post-season HR to put the Yanks in front 3-2, sending the Stadium crowd into a frenzy, showering the field with debris and prompting manager Lou Piniella to pull his team off the field. After the two consecutive home runs in the sixth, Seattle struck back with two runs in the seventh to take the lead 4-3. That didn’t last for long, when in the bottom of the seventh, Paul O’Neill took ex-teammate Norm Charlton yard, making it a 4-4 game. Each team would trade runs in the 12th and played on until the 15th. In the home half of the 15th Jimmy “The King” Leyritz took Tim Belcher deep with a two-run blast in the late night driving rain, to cap off a late October win in the Bronx. This of course was only a precursor of clutch October home runs to come in the career of Leyritz. # 7.) 1999 World Series Game 3, Atlanta Braves @ New York Yankees: Upon getting roughed up in first two games down in Atlanta, the Braves were primed to do what the Yankees had done to them in 1996, come back and win the series in four straight, after dropping the first two. After knocking around Andy Pettitte early, just as they had in Game 1 in 1996, the Braves had jumped out to a 5-1 lead through four innings. The Yankees as they did on numerous occasions in the 1990’s, started to chip away. Chad Curtis homered off starter Tom Glavine, cutting the lead to 5-2 in the fifth. In the seventh, Tino Martinez added a solo shot of his own off Glavine, slashing the deficit to 5-3. 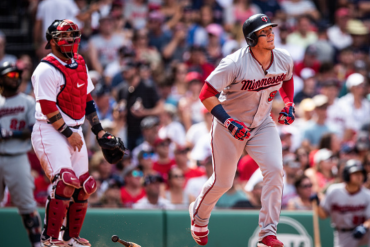 Then Chuck Knoblauch, who’d tormented the Braves in the 1991 World Series as a member of the Minnesota Twins, also tagged Glavine with a two-run game tying blast to right-field. Finally in the bottom of the tenth, Curtis clocked his second HR of the game for the winner off Mike Remlinger to deep left-field. # 6.) 1998 World Series Game 1, San Diego Padres @ New York Yankees: If they didn’t win this World Series they would’ve accomplished a lot for naught. Having won 114 games in the regular season, anything less than a title to this group would’ve been an abject failure. Ricky Ledee, who ripped Padres pitching in this series, got the ball rolling in the bottom of the second, with a two-run double to right-field off Kevin Brown. Surprisingly though, the Yankees ace that year David “Boomer” Wells, allowed five runs through the fifth including homers to Greg Vaughn and Tony Gwynn, putting the Padres out front 5-2. In the bottom of the seventh though it was two moments of atonement which spurred the Yankees on to victory. Chuck Knoblauch hit a game-tying three=run blast off reliever Donnie Wall, making it 5-5. Tino Martinez then took Mark Langston upper-tank for a grand slam, giving the Yanks a 9-5 lead, capping off a seven-run seventh. The Yanks went on to win 9-6 and swept the series 4-0. # 5.) 1996 ALCS Game 1, Baltimore Orioles @ New York Yankees: After their first playoff series victory in 15 years, the Yanks made their first trip back to the ALCS since 1981. On this day October day at the Stadium there was plenty of magic, mystique and Maier. Setting the stage, Baltimore on the strength of home runs from Brady Anderson and Rafael Palmeiro, led 4-3 heading into the bottom of the eighth. That’s when all hell broke loose. A child shall lead them and if that’s not enough another one will help him. Now I’ll always maintain that if there had been no interference, given the trajectory of the ball, it would’ve gone off the top of the wall for at least a double, because Tony Tarasco didn’t leap for it. But Derek Jeter with an assist from 12-year-old fan Jeffrey Maier, tied the game on what was ruled a home run to right-field, off Armando Benitez and as a result we see where both post-season careers of Jeter and Benitez have gone since. With the game tied at 4-4 Bernie Williams went boom, leading off the bottom of the eleventh, taking Randy Myers deep to left to give the Yanks an exciting walkoff win. # 4.) 2001 World Series Game 5, Arizona Diamondbacks @ New York Yankees: Between games four and seven, this one seemingly gets lost in the shuffle but shouldn’t. The Yankees off a comeback victory in Game 5 made a sort of deja vu history once again. Unfortunately their offense couldn’t muster anything for eight innings against D-Backs pitching. Rod Barajas and Steve Finley had taken Mike Mussina deep, spoiling his brilliant ten strikeout performance. With the D-Backs about to steal back momentum and the series lead heading back to Arizona, the Yankees struck back for the second night in a row in the bottom of the ninth. Jorge Posada doubled to left to start off the inning, then with two outs and the Yanks on their last leg, Mr. Clutch since his arrival in 1998, Scott Brosius clocked a game tying homer to left off of Byung-Hyun Kim, tying the game at 2-2. As the game moved to the bottom of the 12th, Chuck Knoblauch led off with a single, Brosius bunted him into scoring position and Alfonso Soriano continued his 2001 playoff heroics with his single to right off Albie Lopez to plate Knoblauch for the 3-2 win. The Yankees took the series lead 3-2 and this win gave them a record ten-straight World Series home victories. It was also Paul O’Neill’s final game at Yankee Stadium. # 3.) 2001 World Series Game 4, Arizona Diamondbacks @ New York Yankees: While Game 5 is great on its own, the magnitude just isn’t the same without Game 4. With the game tied 1-1 the D-Backs took the lead 3-1 in the top of the eighth. Things were looking pretty dire for the Yankee offense, until Tino Martinez made his first hit of the series, his best one. After Paul O’Neill had singled to left, Martinez drilled the two-out offering from Kim, who as mentioned would be victimized a night later in the same scenario by Scott Brosius, over the wall to tie the game at three apiece. The very next inning in the bottom of the tenth, also with two outs, Derek Jeter became forever known as Mr. November, hitting one into the short porch in right off Kim for the 4-3 walkoff win. # 2.) 2003 ALCS Game 7, Boston Red Sox @ New York Yankees: Given the scope, intensity, rivalry and nature of the game and its outcome, this may well have been the best baseball game I’ve ever watched and boy did it live up to the hype. Everything was on the table, bragging rights, “The Curse of the Bambino,” and more importantly the AL Pennant and a trip to the World Series. In what was starting to look like Roger Clemens’ last start ever, The Rocket got lit up for two homers by Jason Varitek and Kevin Millar that staked Boston out to a 4-0 lead in the fourth. Of course in Game 7, as far as pitchers are concerned, all hands are on deck. In that fourth inning with two on, Clemens exited and Mike Mussina came on for his first ever career relief appearance. Mussina struck out Varitek and got Johnny Damon to ground into a 6-6-3 inning ending double play, keeping the Yankees in the game. The Yankees then chipped away off Pedro Martinez when Jason Giambi connected for two solo home runs in the fifth and seventh, cutting the lead to 4-2. When it finally looked as if the Yankees were back in it, the Red Sox came back with a solo shot of their own as David Wells surrendered a HR to David Ortiz, making it 5-2 Boston going into the bottom of the eighth. That’s when the Yankees caught fire off Martinez. With one out, Derek Jeter doubled to center. Bernie Williams followed suit with a single to center of his own, knocking in Jeter and reducing the lead to 5-3. Hideki Matsui then roped a double to right-field and Williams advanced to third. With runners in scoring position, Jorge Posada blooped a two-run game-tying double to shallow left-center-field making it 5-5. Posada was pumped and the Stadium roared. Mariano Rivera then added to his Hall of Fame playoff legacy with three epic scoreless innings of relief, that would eventually earn him ALCS MVP honors. Then with the game still tied 5-5 in the bottom of the eleventh, the improbable Aaron Boone, Willie Randolph’s sleeper pick, hit a lead-off, walkoff pinch hit homer to win the Yankees 39th AL Pennant and a trip to the World Series. The Yankees won the game 6-5 and the ALCS 4-3. # 1.) 1996 World Series Game 6, Atlanta Braves @ New York Yankees: OK so I said the last game was the best I’ve ever seen, but the number one game to me has the most special meaning and significance. It was the night the underdog Yankees completed their improbable run which included a slew of human interest stories and ultimately what was to be the birth of a dynasty. Everyone had counted them out, every step of the way. They’d just come off a crushing series loss the year before, Joe was supposedly clueless, Doc and Darryl were in the baseball waste bin, Coney was fighting for his life and of course there was no way they could win with that rookie kid Jeter starting at SS. Even when they made it to the World Series, the doubters said no way could they beat the defending champion Braves, the “team of the 90’s,” and there was no way after losing their first two at home in ugly fashion that they could sweep the Braves on the road and come back home to win it, beating three Hall of Fame pitchers in Tom Glavine, John Smoltz and Greg Maddux along the way. But they did. After sweeping out the Braves in Atlanta to go 8-0 on the road in the 1996 playoffs, the Yankees came home to try and clinch title number 23, their first in 18 years. The first one I’d seen in my lifetime. Jimmy Key went against Greg Maddux, in a rematch of Game 2. Key, one of the first early 90’s Yankees to help create the winning culture in the Bronx was more than solid allowing just one run in 5 1/3 innings. The Yankees struck for three in the third off Maddux and it would be all they’d need, as Paul O’Neill doubled to right, Mariano Duncan moved him to third on a grounder, Joe Girardi then tripled to center off his former Chicago Cubs battery-mate, plating O’Neill for the 1-0 lead and the Stadium absolutely shook. Derek Jeter then singled Girardi home for the 2-0 edge. After stealing second, Jeter scored on what turned out to be the game winning RBI, a line drive single to center by Bernie Williams, as the two emerging young cornerstones of this Yankee dynasty gave the Bombers a 3-0 lead. The Yankee bullpen was sharp once again, including getting two scoreless innings out of Mariano Rivera. Eventual World Series MVP closer John Wetteland, in his typical fashion made things interesting in the bottom of the ninth. The defending champs wouldn’t go quietly as Marquis Grissom knocked in Ryan Klesko, cutting the lead to 3-2. Then with the tying run in scoring position and the go-ahead run at first, Wetteland got Mark Lemke to pop into foul territory along the third base side by the stands and Charlie Hayes gloved it for the final out of the game and series. 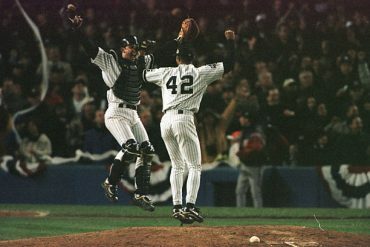 Wetteland recorded his World Series record fourth save and the Yankees won their 23rd title, in what would become their next dynasty, eventual team of the decade, team of the century.